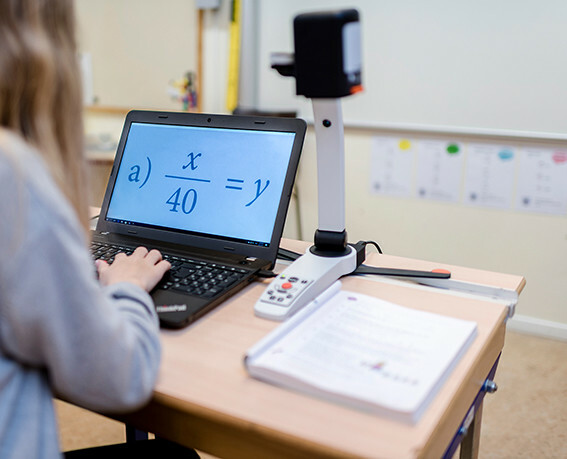 The MagniLink S Premium 2 video magnifier is Chromebook Compatible and is the ultimate video magnifier for anyone with high demands on both quality and mobility. It offers superior image quality, modern technology, and really smart features. It’s also easy to carry, for example, between home and school or a workplace – and can be connected to a computer (PC/Mac/Chromebook) or a monitor. Thus, you can choose the features and options that fit your needs. And yes, you read that right – Chromebook, this product is compatible with Chromebook. 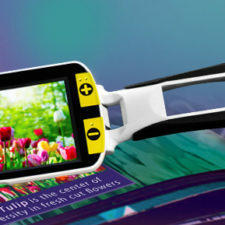 MagniLink S Premium 2 video magnifier excels in brightness, sharpness, and contrast, and the unit has the latest technology. The result is a superior image for maximized reading speed and reading endurance. 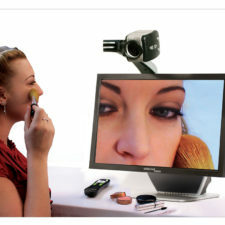 You can get the MagniLink S Premium 2 video magnifier with an HD camera or Full HD camera. There’s no ghosting with 60 fps (full digital frames/second). High brightness and contrast (high-quality light sensitive lens). HDMI connection and HD (720p) progressive high resolution for flicker-free image and sharp edges. 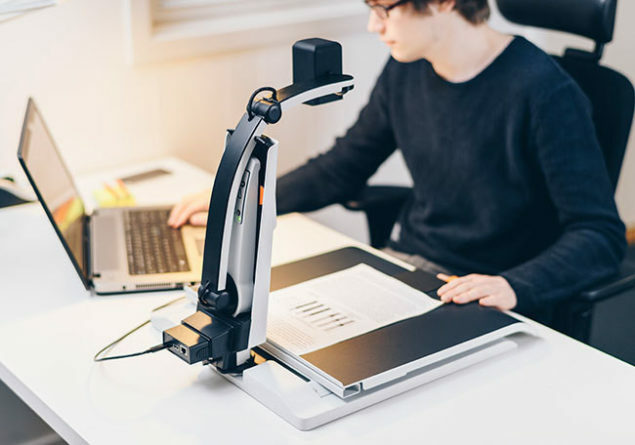 The MagniLink S Premium 2 video magnifier with Full HD (1080p), an image transfer of 60 full digital frames per second, high brightness/contrast and a high quality, light-sensitive camera lens, for flicker-free images and sharp edges, offers exceptional image quality. With Full HD, even more, details can be viewed in texts and images and the sharpest possible image in both reading and distance mode. Full HD also offers an even lower initial magnification, providing a better overview of the materials to be scanned and OCR processing of a full A4 page (US Letter) with optional TTS Text To Speech feature. 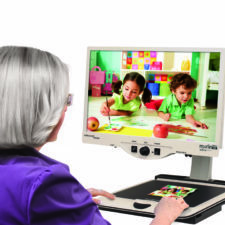 MagniLink S Premium 2 video magnifier is always accessible; sets-up and is ready to use in virtually seconds. 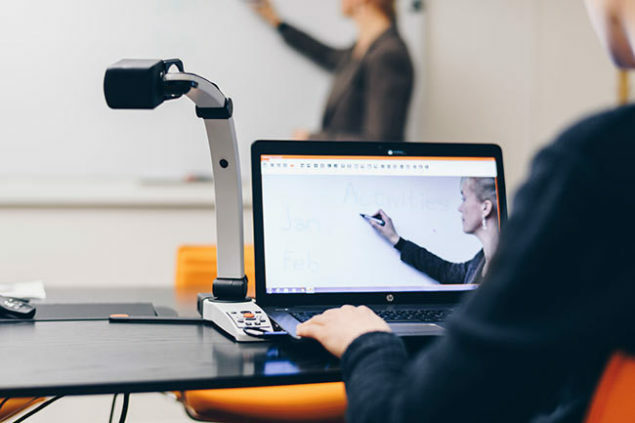 The foldable support legs minimize the footprint, and makes it possible to place the unit tightly alongside a laptop, either on the left or the right side. Fits perfectly also on small desktops. It’s easy to switch between distance and reading mode. Just turn the camera head and flip up the camera lens and your MagniLink S Premium 2 becomes a distance camera in a second. The user will never worry about battery strength or misplaced battery chargers as the unit is powered by the computer. Software for computer connection is included. The software controls the unit’s features, such as magnification, artificial colors and brightness and provides the user with the facility to make individual adjustments for the best possible experience. For increased participation – in school, at work, and at home! The software is available in versions for PC (see MagniLink PCViewer), Mac (see MagniLink S) and Chromebook (see MagniLink ChromeViewer) – all of them have unique and innovative features. For PC and Mac, you can add TTS (Text To Speech) as an option. It provides multiple functions, including speech output. To have the text read aloud enables increased reading speed as well as endurance. The text is read line by line, word by word, character by character, picture and word, and picture and line, and can be presented on the screen, synchronized with the audio. The software automatically detects the language being used in the text and reads the text with a corresponding voice. Smart docking stations. With a docking station, you convert your MagniLink S Premium 2 into a stationary system when needed. Dock and undock in seconds to switch between a stationary and a portable system. All docking stations are supplied together with an external control panel. You can choose between docking station with X/Y table, docking station with table clamp or docking station with plate. 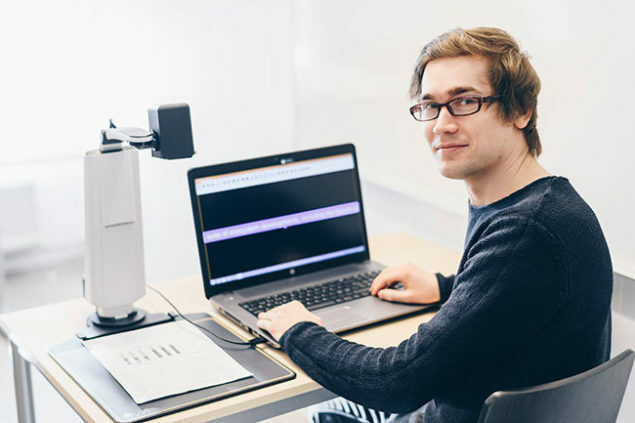 High-quality monitors from LVI(18,5″ or 23″), developed for low vision users. Two-in-one carrying case, large enough for the unit and a 15.4″ laptop. Motorized distance camera for situations where a dual camera solution is needed. Version 2.0 of MagniLink ChromeViewerTM is here! 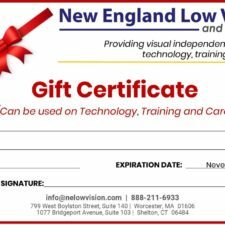 This is an innovative software for Chromebook that is used to display the image from a MagniLink reading camera system. The software controls the reading camera’s features, such as magnification, artificial colors, and brightness, and provides the user with the ability to make individual adjustments for the best possible experience. Save snapshots or record videos. MagniLink ChromeViewer TM is available for download from Chrome Web Store. We also have similar software for PC and Mac computers. See MagniLink PCViewerTM and MagniLink S software. 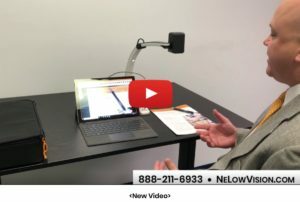 The manufacturer (LVI) recommends using an Intel-based Chromebook together with a MagniLink camera since we have noticed compatibility problems with ARM-based Chromebooks. A USB 3.0 Y may be needed to supply sufficient power to the MagniLink camera system. A USB Y cable permits the use of 2 USB ports to drive a MagniLink camera system. LVI has tested the software on a number of Intel-based Chromebooks without problems, but there is no guarantee that the system will work with all Chromebooks that follow the specification. LVI recommends test the software with the Chromebook where the system is to be used, in order to ensure compatibility. Better performing computers will facilitate better camera performance.